The death of a family member is devastating for those left behind, and this trauma can be compounded when the family member dies due to the negligence of others. A wrongful death occurs when a person is killed due to the negligence or misconduct of another individual, company, or entity. 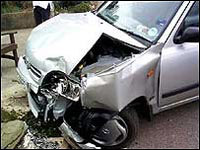 A wrongful death claim can arise from almost any type of accident or act of negligence. Wrongful death claims are intended to hold negligent parties responsible for their actions or inaction and to provide compensation to the surviving family members. Every state has a civil wrongful death statute or set of statutes which establish the procedures for bringing wrongful death actions. An action for wrongful death belongs to certain persons identified by statute. In most states, such persons will include the decedent’s immediate family members, such as surviving spouses and children and, in some instances, parents or siblings. An attorney experienced in wrongful death law can explain the intricacies of these lawsuits and help achieve the best possible outcome for survivors. There is a surviving spouse, children, etc. If you have a loved one that has died due to the negligence of others, contact the wrongful death attorneys at Rice for a free consultation to see if you are eligible to file a claim. The experienced wrongful death attorneys at Rice understand how devastating the loss of a loved one can be. Although no amount of money can eliminate the pain of losing a family member from an untimely death, those who have lost a family member due to the negligence of others deserve to be compensated for their financial loss. The experienced attorneys at Rice believe that a wrongful death action should not intensify the trauma to the surviving family members. Our wrongful death attorneys are prepared to work aggressively on your behalf while you mourn your loved one. .